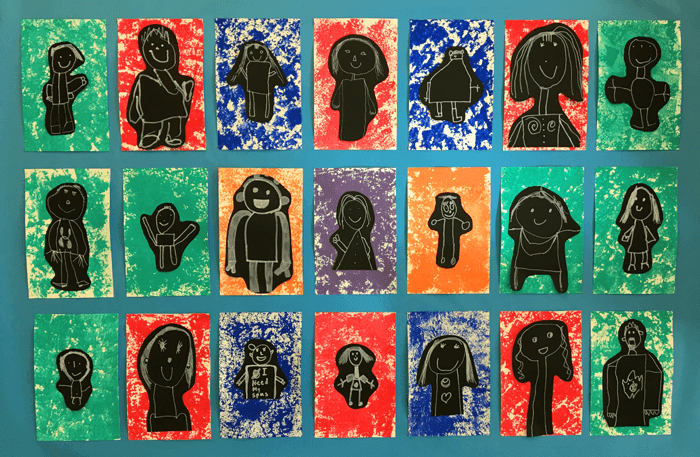 I was teaching in my friend's Grade 1/2 class the other day and I was smitten with these beautiful self-portraits they did! I love the contrast of the white and black with all the colours. Scroll down to see some close-ups, materials used, and instructions. Dip a marshmallow in the paint and carefully sponge paint the white paper. 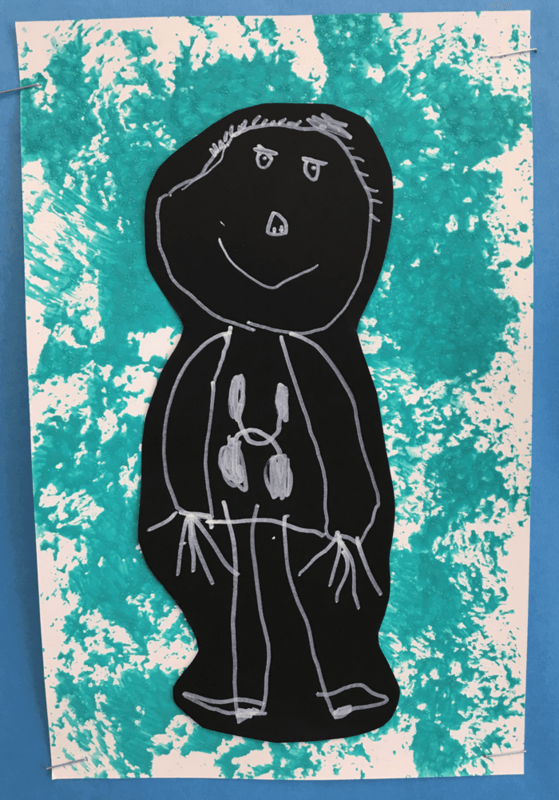 Be sure to remind the kids to press carefully (up and down) otherwise the texture effect will be ruined if they just rub the marshmallows around the paper. 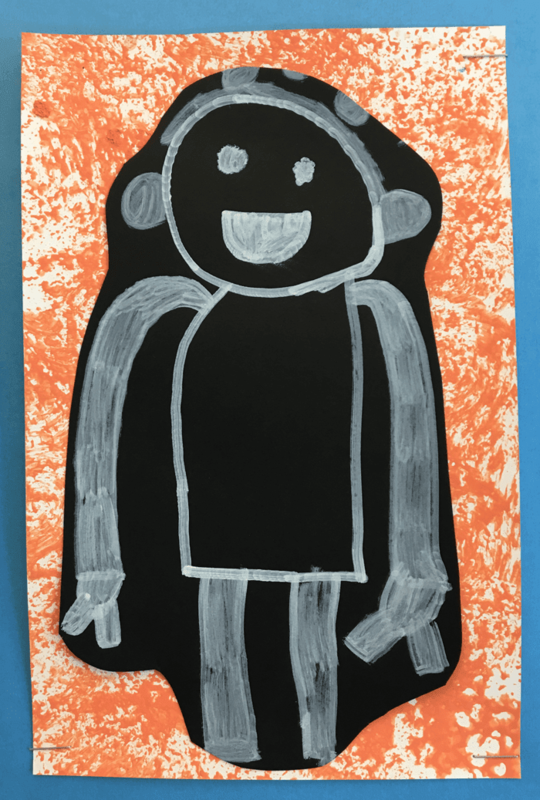 Have the kids use the white gel markers to draw a picture of themselves on the black paper. Have an adult cut around the drawings. 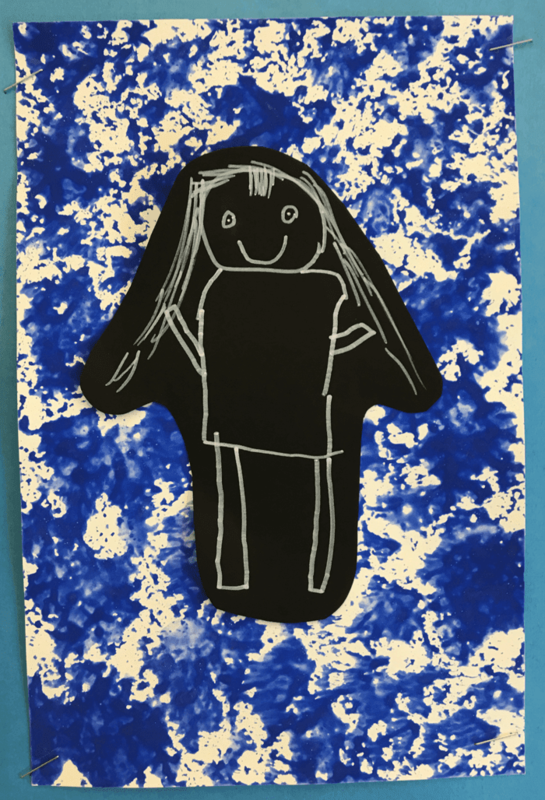 Let the kids glue their drawings onto the dried sponge-painted paper. 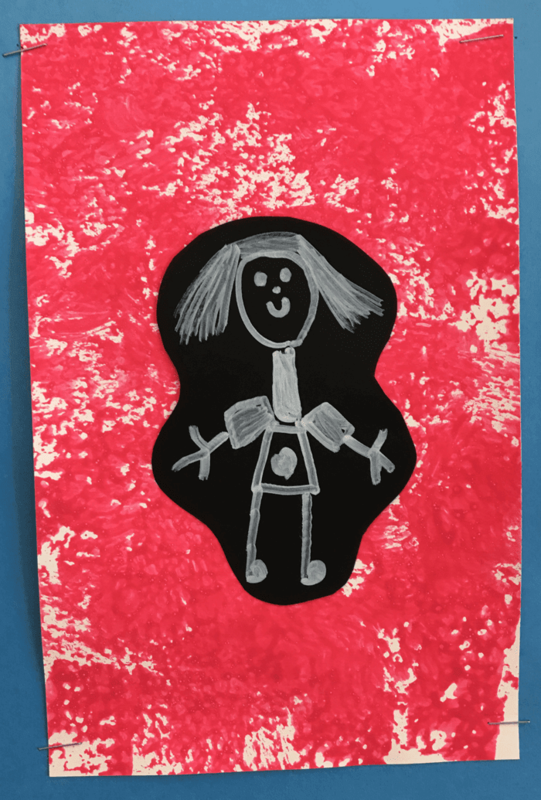 A super simple art activity for K-2 students and SO gorgeous and effective.